If you're anything like us, you'll hear the name of a city, town or sometimes even an entire country and draw a complete blank as to where it is. When we first booked this trip, I had to continually tell Wade that we were flying into SanTiago, Chile NOT San Diego, California! 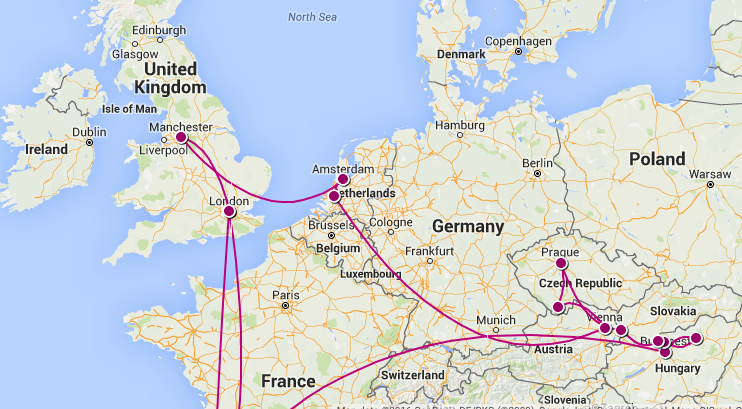 For that reason, we have created a map of our adventure so you can see where we are as we go. Feel free to follow our adventure by regularly checking out the map below. Please be advised that this map is only an image of the map provided by Traveller's Point. This means that here on our blog, the zoom/scan functions won't work. If you want more in depth info on the places we've been, or you'd like to zoom in and see exactly where a particular place is, please use the link below.